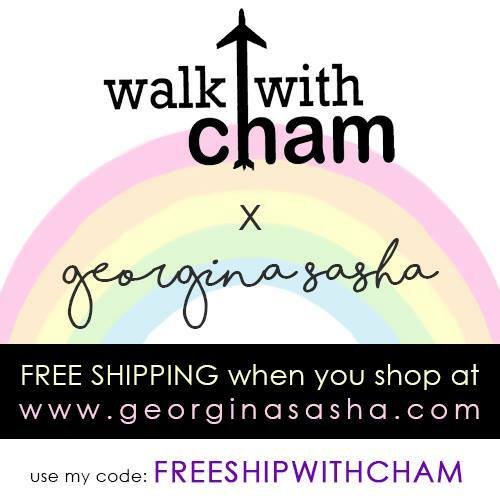 Walk with Cham: TRESEMME Brazilian Hairventure Contest! HURAH! I'm going to BRAZIL!!! 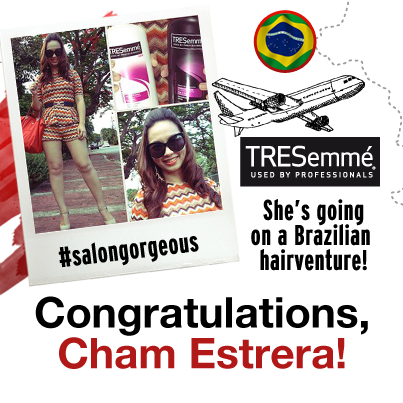 Recently, I joined an online contest hosted by Tresemme Philippines for a chance to win a trip to Brazil for two. 1. Snap a photo of yourself showing off your Brazilian-inspired hairstyle and outfit and share us how TRESemme helped you achieved this look. 2. Share your photo via Twitter, Instagram or Facebook. 3. Follow us on Twitter @tresemmeph to make your entry valid. *Participants must make sure that their Instagram or Twitter accounts are made public. 4. The best entry will win an all-expense trip for 4D/4N for two (2). 6. Promo will run from March 15 - May 24. Announcement of winner is on May 31. And since I am a Tresemme user I was so eager to win this contest. I even prepared for my #ootds. I borrowed my brother's DSLR, asked help from my sister & mom for my outfits and shots and Mike to help me edit my captions. I hate going to the salon, good thing there's @tresemmeph! It helps me achieve a #salongorgeous hair at the comfort of my own home. BRAZIL, here I come! Can't wait! Ola BRAZIL! Here's my Brazilian inspired outfit and hairstyle. Thanks to @tresemmeph for my #salongorgeous hair! Can't wait! and travel MUST HAVE! Can't Wait! Thanks to @tresemmeph, my hair is #salongorgeous everyday! Brazil in May, Obrigado Tresemme! Can't wait! OLA! There you have a Brazilian Va-va-volume do! Can't wait! My best TRESed #salongorgeous Brazilian ponytail do! see the famous spots Brazil has to offer! Can't wait! 3. Tease the top area of your hair to achieve a bouffant. in a jiffy. Excited for picturesque BRAZIL! Can't wait! & white for Tresemme conditioner for a #salongorgeous hair. Can't wait! Having a #salongorgeous hair has never been this easy! Just use @tresemmeph shampoo and conditioner and Ola! Here you have a big haired Brazilian signature coif! Can't wait! and #salongorgeous hair from @tresemmeph Thermal Recovery Mask. I can style my tresses away leaving it nourished and vibrant. Can't wait! Haha! Pati sa 4 pics 1 word, praning! Though I saw a lot of GOOD entries, I kept my hopes high. When the date of the announcement passed I was a bit disheartened I thought maybe they already informed the winner, but I told myself to always think positive and attract Brazil! Then yesterday, I saw this! It's an amazing feeling! Probably the BEST feeling in the world!!! I've never won any contest that's why this is something surreal for me! 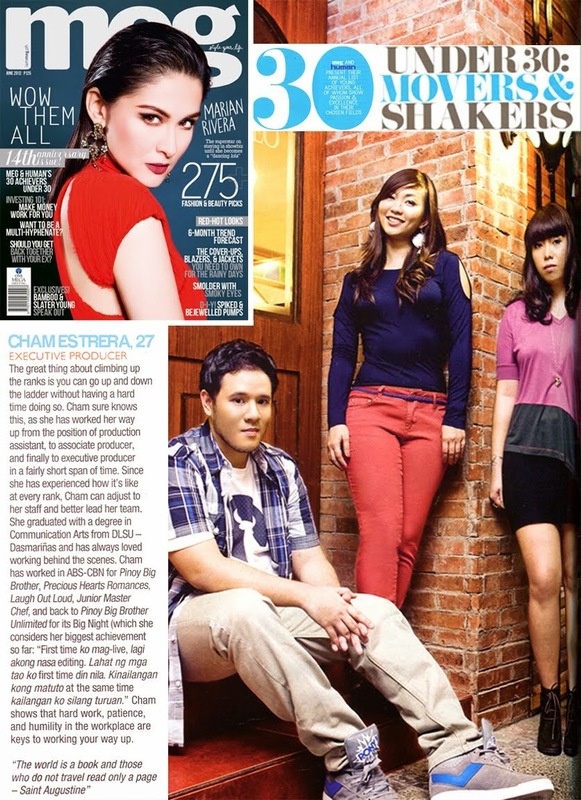 Thank you so much TRESEMME PHILIPPINES for choosing me, words are not enough to show my gratitude. I hope we have something to look forward to like this contest for 2014.